While Netflix is a great portal to watch a range of movies and TV, it has really excelled in recent years in terms of creating its own original shows. The likes of Orange is the New Black and Stranger Things have proven to be major hits, while Riverdale and the Chilling Adventures of Sabrina has also put a new spin on classic characters. One specific area which continues to inspire new Netflix shows, however, is the world of video gaming. Fresh from creating a series based on Castlevania, the streaming service is now in the process of producing a show based on The Witcher with Superman himself Henry Cavill set to take the lead as Geralt. These shows are just the latest to highlight the long-running and enduring relationship that TV and video gaming have developed over the years. What perhaps makes news of The Witcher series particularly interesting is the fact that there are probably more examples of gaming looking to TV for inspiration than the other way around. A host of shows have been given the video game treatment down the years, from The Simpsons and South Park to the legendary Buffy the Vampire Slayer. Probably the most recent example of this trend is Game of Thrones. Set to return with its final series next year, the epic HBO saga has been adapted into a range of games in the last few years including the mobile title Reigns: Game of Thrones. In addition, it is one of the few shows to also make the leap into online slot games. Available to play at the Mr Green casino online, Microgaming’s creation features music and imagery based on the show and has also adapted aspects of the series into its gameplay. For example, the free spins feature calls on players to choose and serve one of the show’s famous houses. Game of Thrones has also been adapted into a multi-platform title by Telltale Games, which also worked on similar TV-to-video game adaptations such as The Walking Dead. So while TV being adapted for gaming is nothing new, what illustrious company will The Witcher be joining by making the leap in the other direction? Many big names from the world of gaming – from Lara Croft to Hitman and Assassin’s Creed – have made the jump into movies with varying degrees of success, but not many have chosen the small screen instead. It has been quite common down the years to see animated shows spring up based on video game franchises though. The likes of Pokemon, Sonic the Hedgehog and Super Mario have all featured in TV shows, while Netflix have made the aforementioned Castlevania series and also a show based on the Skylanders franchise. Is Netflix set for another big hit? It is undoubtedly an exciting time for Netflix with another major new show on the way. 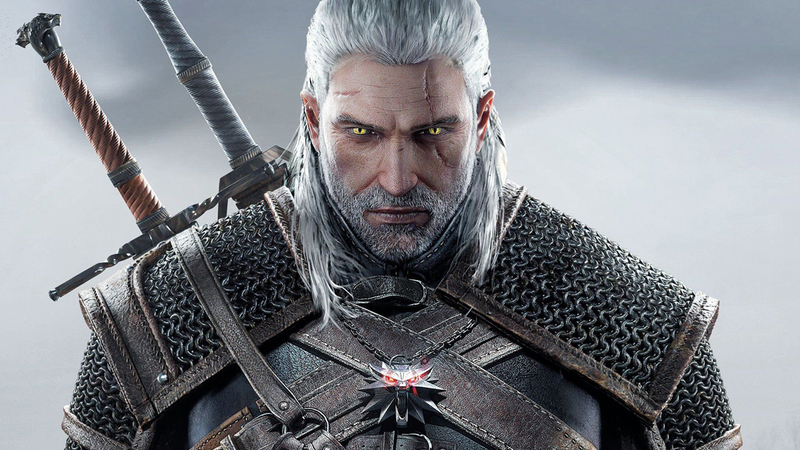 Adapting video games for TV and film can prove to be a very tricky process, but the platform will be hoping that it has got things off to a good start with The Witcher. I look forward to seeing the finished result when it hopefully lands on the service at some point next year.